We're proud to pledge our support behind the Embrace 100 Club, which was set up by the charity to help child victims of crime. We've committed to contributing £1,000 per year for the next three years because we truly believe in the work of the charity and can see the difference it makes to our young people. 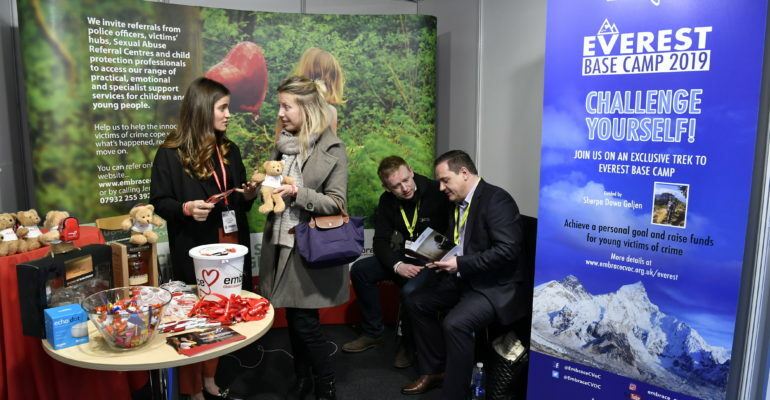 We signed up to the club at this year’s BAPCO Annual Conference, where it was announced as the charity of choice for 2019 event. Embrace is solely focused on supporting children, young people and families who are victims of serious crime. The charity helps those affected cope with their circumstances through supporting the young person’s recovery and by providing services that enable them to put traumatic events behind them, move on and fulfil their potential. When Embrace CEO Anne Campbell launched the new Embrace 100 Club at the networking dinner, she acknowledged that APD Communications was the first business to sign up. Speaking after the event, Anne Campbell said: “Embrace had such a wonderful reception at BAPCO’s annual conference and it was a pleasure for the charity to be able to use this forum to launch a number of firsts. We look forward to working even more closely with BAPCO members in the coming months”. Securing this sponsorship helps Embrace continue to deliver the great work they do of mending hearts, minds and families who have been victims of crime. To find out more about Embrace or pledge your support please visit their website here.